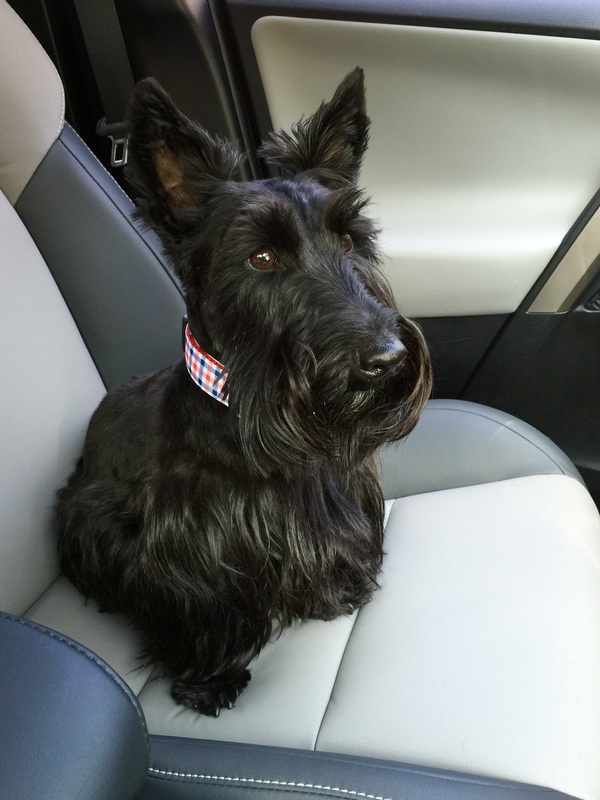 Nice car–you will be styling in that car–black scotties will look so nice in that red color. Pawsome Color! 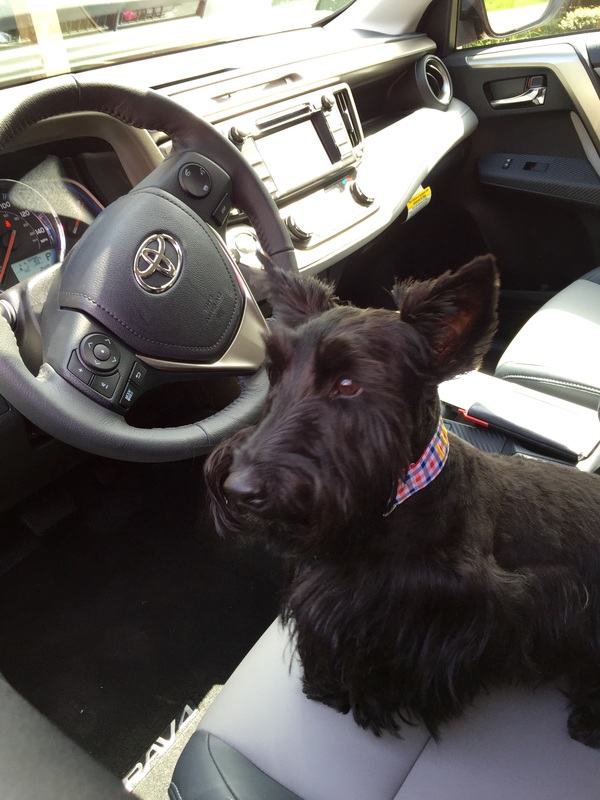 What Breed is your ride? Looks a little like our Silver Brindle Ford Escape! It is a Toyota Rav4. Way to ride Lucy and Indy, not bad for the peeps either. Our Mom is going to post a photo on your Mom’s FB page with a neat collage on it. Do you think your Dad would OK it, we know your Mom would. Red has always been your color too. Nice color…Mama wants a new car, but the Nissan dealer is closest to us (Toyota is in another town), and all Nissan sells in vans are white, silver, and black and gray. Mama likes the brighter colors, like you got. 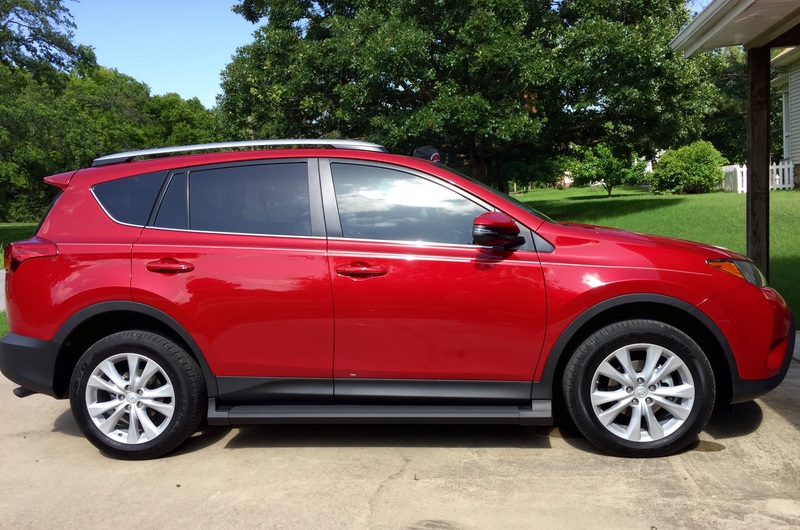 We were also considering a Honda CRV and a GMC Terrain but Toyota got us for the third time. We had to go to Tulsa to get this. I love the color. It would be easy to find in a parking lot full of grey cars. In Florida, it seems that most cars are grey, white, or black. That is what Mom said. Wow, great ride! Isn’t it fun to have a brand new vehicular? Great color too. You be stylin’ in your new ride! Mom is still keeping her Toyota Matrix though. Nice ride!! Jacques gives it two paws up! Aro-o-o-o! Neat looking ride! I luvs red! So comfy looking…And it is so you! Congrats! BOL! the space is for your Mom’s shopping! Busted! That’s just like my Mum!